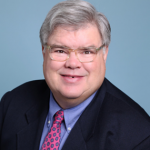 James P. Regan works extensively on matters involving the assessments of major industrial complexes, office buildings, hotels, shopping centers, apartment developments, condominium properties, senior housing, and Incentive Assessment Applications. 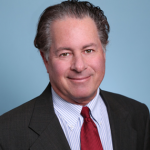 Mr. Regan is the firm’s representative to American Property Tax Counsel (APTC), an association of real estate tax lawyers, which provides access to real estate tax and assessment expertise throughout the United States and Canada. 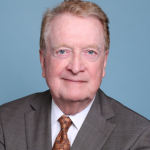 Prior to joining the firm, Mr. Regan served on the staff of the Cook County Assessor for ten years in various capacities. He was responsible for reviewing Commercial Incentive Applications and developing the Assessor’s Incentive Rules and Guidelines. 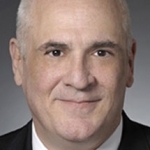 He initiated the automated Complaint System currently utilized for the review of commercial and industrial appeals filed with the Office of the Cook County Assessor. Mr. Regan received his undergraduate degree from the Catholic University of America. He has an M.A. from The New School for Social Research in New York, and a Juris Doctor from St. John’s University School of Law in New York. Since 2008 he has received the highest Martindale Hubble peer rating available. He has also been designated a Leading Lawyer of Chicago.